This elegant and modern 21.5-inch multimedia LCD panel displays the popular Full HD widescreen resolution of 1,920 x 1,080 pixels. The display, thanks to its resolution, aspect ratio and short response time, is ideal for watching movies, including Blu-ray images, gaming, or other multimedia activities. The image will allow you to breathe in the freshness of colours and subtleties of each shade, which is ensured with a high contrast ratio of 12,000,000:1 . The ideal backlight performance is provided by LED technology, delivering a clearly visible image with noticeable energy savings over the previous CCFL. Video signal connectivity with the LCD is with the DVI or D-Sub digital interface. This Taiwanese corporation has offices around the world and is well-known for its consumer electronics. It has further offerings in communication and computing technology, and thanks to several strategic acquisitions, has been able to enter new markets and gain prominence. It is also a major sponsor of e-sports competitions, which has brought it to prominence among younger consumers. Millions of satisfied customers around the globe can attest to BenQ's matchless quality and innovation. 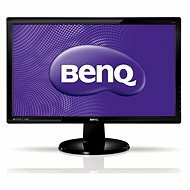 For shipping to other EU countries visit this page 21.5" BenQ GL2250. 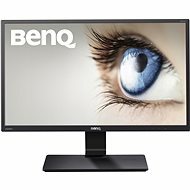 Für Versand nach Deutschland, besuchen Sie bitte LED Monitor 21.5" BenQ GL2250. Chcete doručit zboží do Česka? Prohlédněte si 21.5" BenQ GL2250. Chcete doručiť tovar na Slovensko? Prezrite si 21.5" BenQ GL2250. 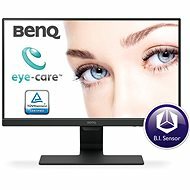 Für Versand nach Österreich, besuchen Sie bitte LED Monitor 21.5" BenQ GL2250. Magyarországra történő kiszállításért tekintse meg ezt a termékoldalt: 21.5" BenQ GL2250.